CONOR McGregor has spoken out this morning after he was released from a US jail last night. 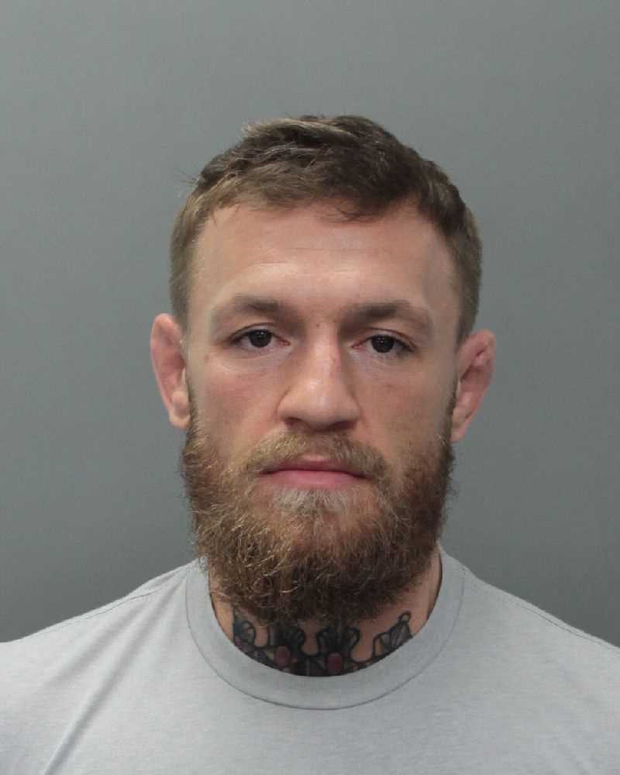 McGregor was released from a Miami jail shortly after he was arrested when he allegedly "slapped" a phone out of a fan's hand and "stomped on it". The Dublin fighter was arrested and charged with 'Strong-Arm Robbery and Criminal Mischief' by Miami police at 6pm Miami time yesterday. The MMA star was seen leaving Turner Guilford Knight Correctional Center a few hours later when he was released from jail after allegedly posting a $12,500 bond. Taking to Instagram this morning, McGregor shared a snap of him leaving the correctional centre wearing a t-shirt that said: "When I say something is going to happen, it's going to happen- McGregor is back". He thanked his fans and said that his patience is something he is continuing to work on. "Patience in this world is a virtue I continue to work on," he said. "I love my fans dearly. Thank you all." McGregor's attorney Samuel Rabin, of Rabin and Lopez PA, issued a statement saying that the Crumlin native was giving his "full co-operation". "Last evening Conor McGregor was involved in a minor altercation over a cell phone that resulted in a call to law enforcement," Mr Rabin said in a statement issued to MMA Fighting via spokesperson Karen Kessler. McGregor is alleged to have walked away with the phone in the aftermath of the incident, which is said to have occurred after a fan tried to take a photo with him.